Take a non stick pan, put it on flame. 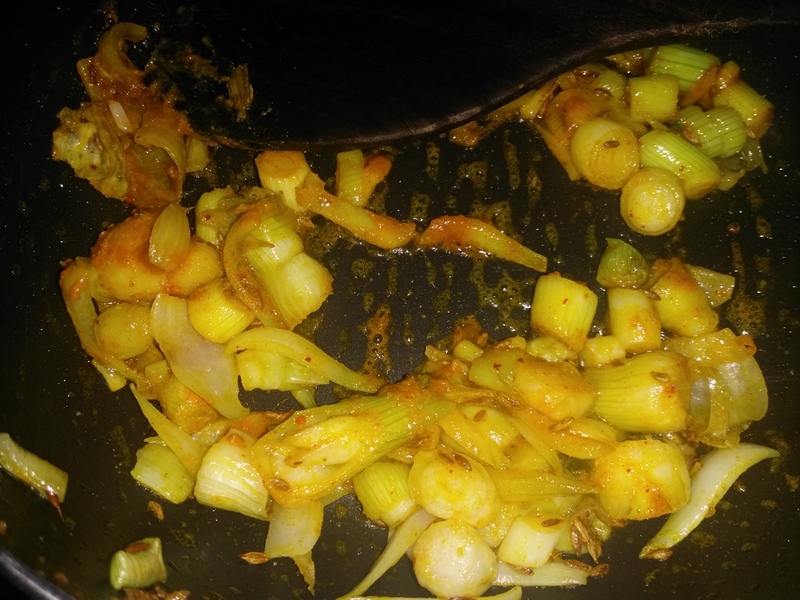 add olive oil when its ready ad cumin seeds now add diced onions, green chilli and the soft white stems. 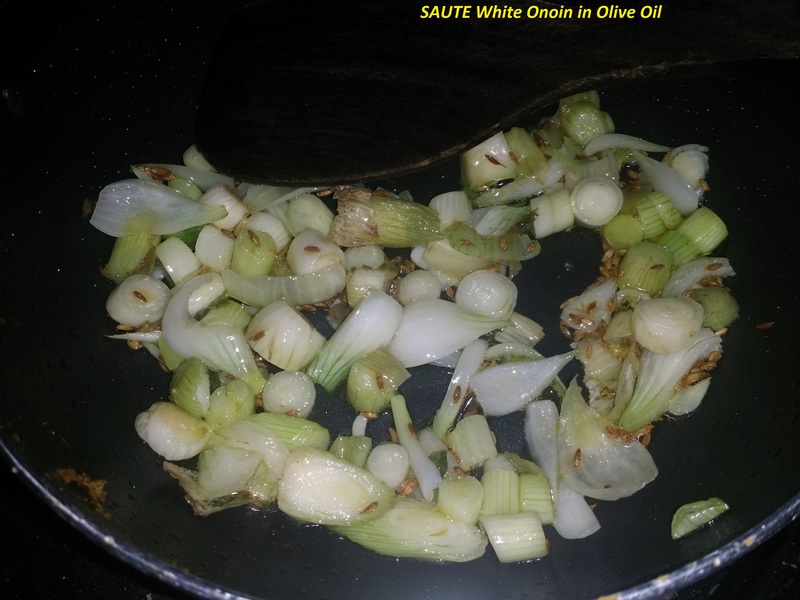 Saute it in the olive oil. 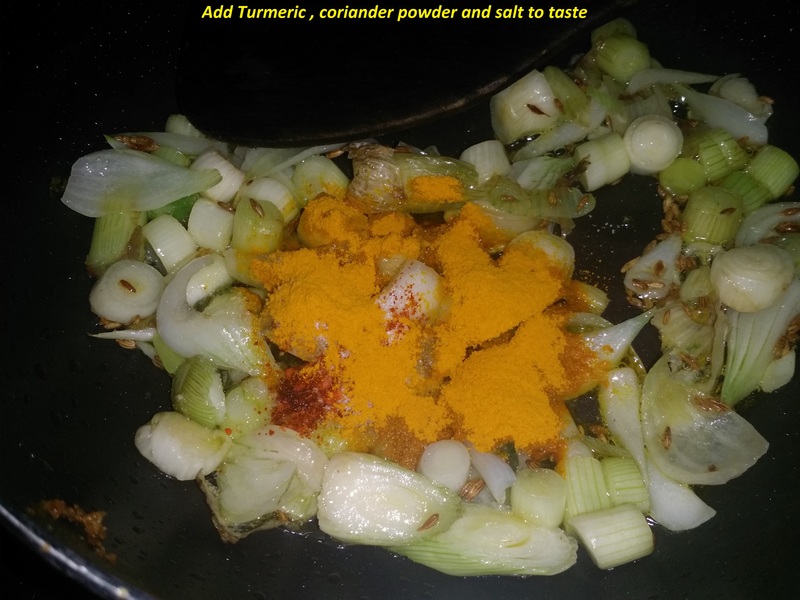 Add turmeric powder, coriander powder and salt to taste. 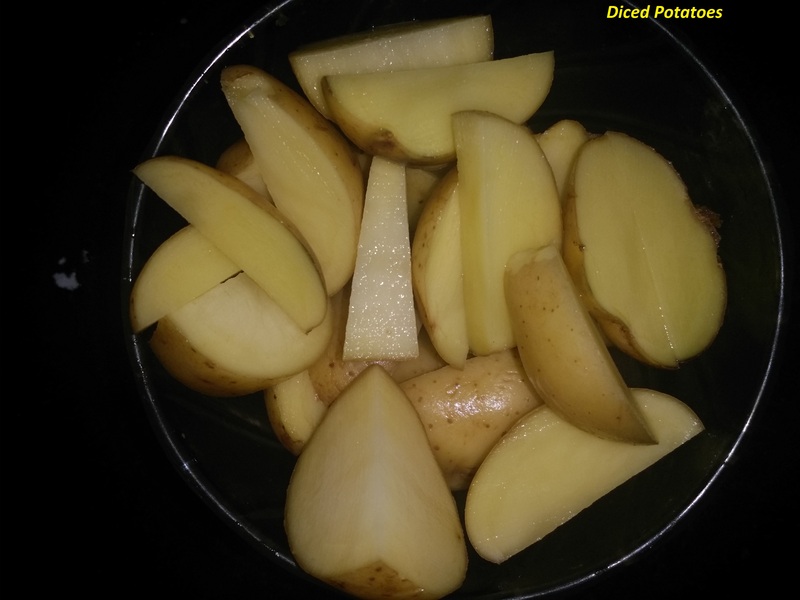 Add dices potatoes. 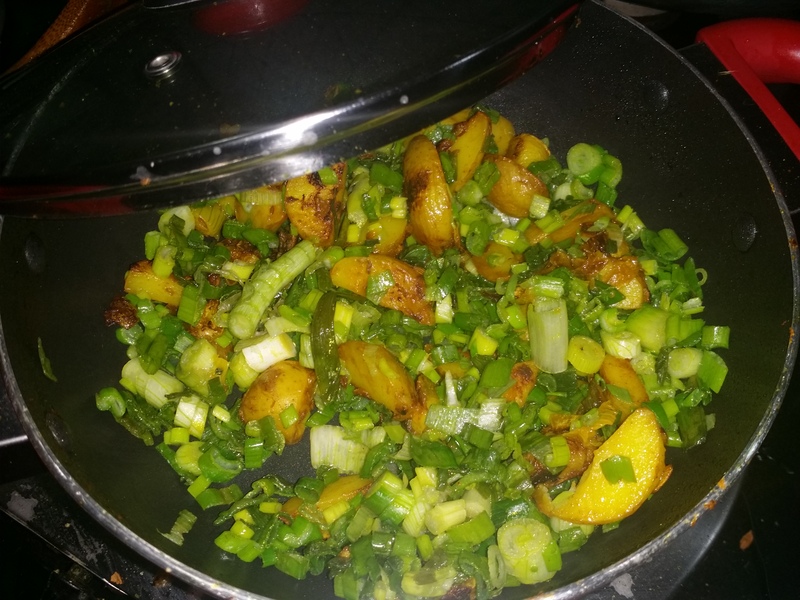 Let it cook on sim flame till potatoes turn light golden. 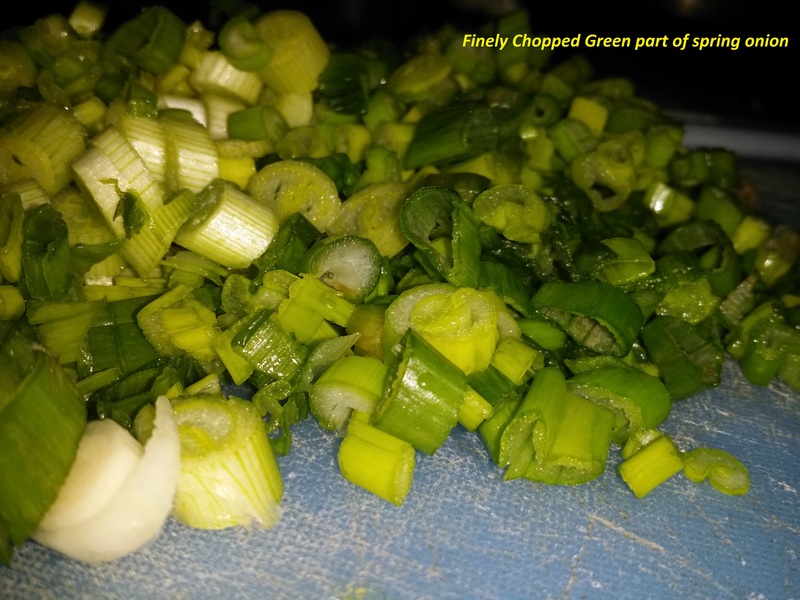 Now add the remaining finely chopped green part of the spring onion. 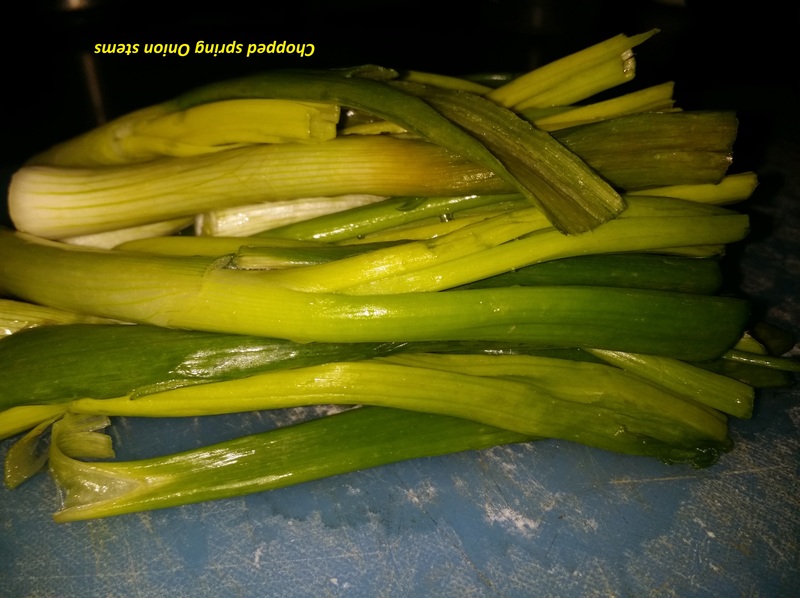 Cook it till green portions turns soft. 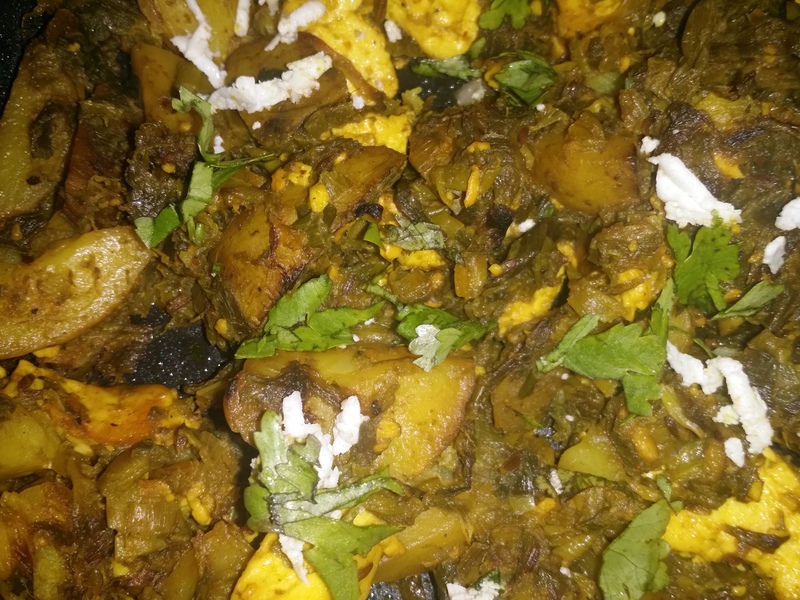 To create a variety you can add Cottage cheese also along with potatoes.